The Romans in the first century BCE were perhaps the most growing empires around. Though the civil wars of Caesar and Pompey, and Octavian and Marc Antony dominated the scene a lot more happened around them. In 53 BCE a Roman army under Marcus Licinius Crassus, vanquisher of Spartacus and richest man in Rome, attempted to extend Roman power into Parthia, modern day Iran. 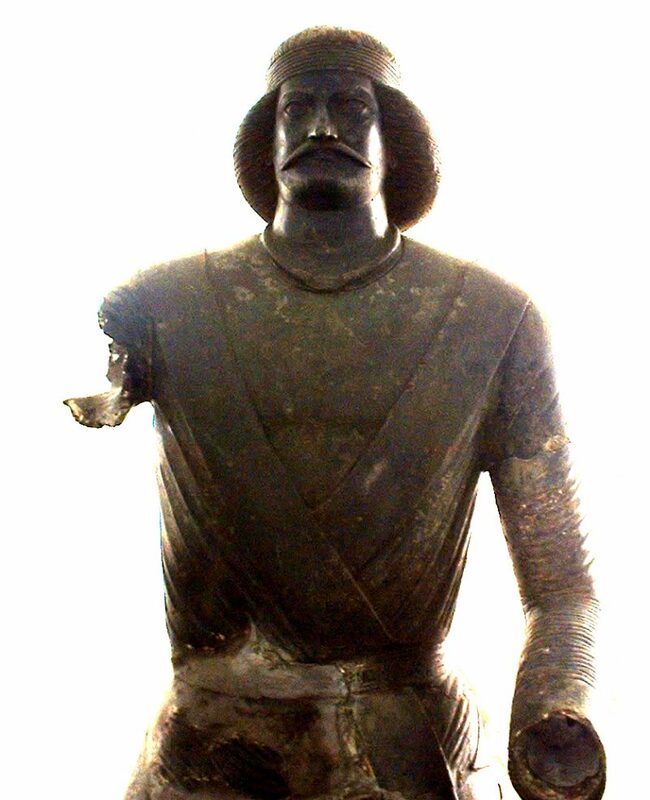 He got as far as modern day Harran in southeast Turkey before he was met by a Parthian army under Surena. Crassus was a little too cocky and pushed forward, thinking victory would be easy against these inferior barbarians. 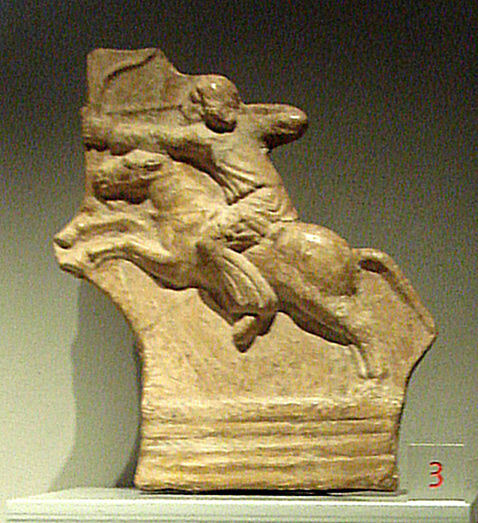 He was sadly mistaken as the Parthians were an efficient semi-professional army with the most elite horse archers the world had ever seen at the time. In a slaughter known as the battle of Carrhae the Romans lost nearly their entire army and Crassus was killed. The remaining 10,000 or so Roman legionaries were captured. The Parthians had a standard practice of employing captured soldiers as border guards. By transferring the 10,000 legionaries to the eastern borders they prevented any realistic chance of escape for the Romans who likely would have simply accepted their new lot in life. Record of the soldiers vanish for about 17 years when the battle of Zhizhi was fought as a Chinese army under Chen Tang assaulted a border town known today as Taraz, located in Kazakhstan near the border of Kyrgyzstan. Chinese historians note that the defenders held their shields in a “fish scale” pattern. The fight for the town was intense but the Chinese prevailed. The Chinese, under the Han Dynasty at this point, were near the height of their power; this battle represented their greatest Westward expansion and their victory was achieved in part because many of the locals defected to the Chinese out of fear. The Chinese were so impressed by these foreign warriors that they put them into another border town, this time guarding the border between China and Tibet as Tibetan raids were not uncommon around this time. Anywhere from 100 to 1,000 or more soldiers established themselves in this town that was known by the Chinese as Liqian/Li-Jien, which is pronounced as “legion”. These men were known to use tools such as tree trunk counterweight construction devices, and to reinforce the area into a square fort, a common site in the Mediterranean but quite rare in Asia. 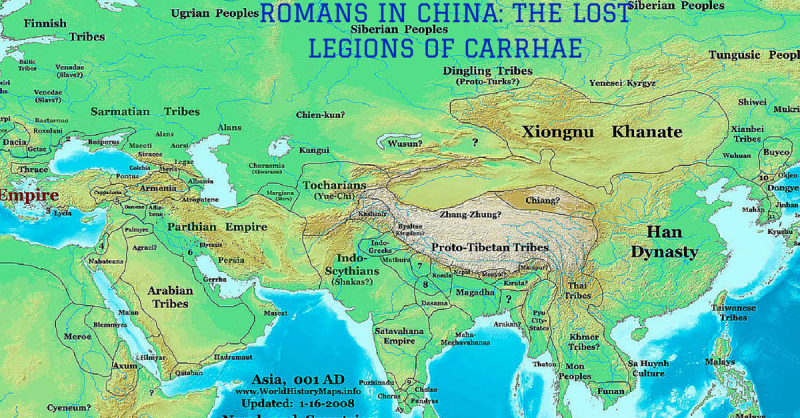 It seems these Romans lived peacefully in Liqian, and 2,000 years later we have DNA evidence that over 50% of the villagers in modern day Liqian have Caucasian ancestry including green and blue eyes, increased average height and other distinguishing characteristics such as distinctly Roman noses. The people in the small village are aware of and proud of their ancestry, celebrating the Romans and showing a fond interest in bulls, a heavily worshiped animal of Roman legions.